You’ve probably heard more than the odd Oklahoma joke. I get it. Oklahoma is often touted as a vast expanse of “nothing”, a state void of city life, stippled with desolate homes and muddied plains. I’ll admit, I wasn’t particularly fond of the roads (you can literally feel the difference when you cross into Texas), but Tulsa is different. 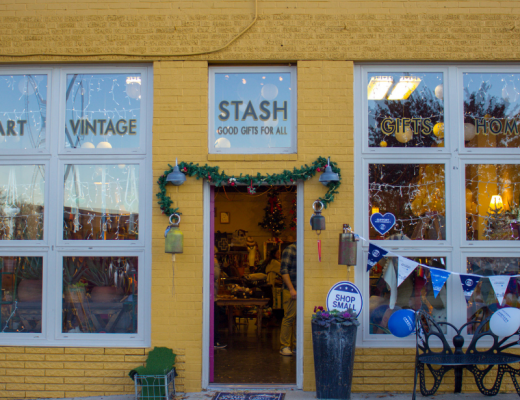 Tulsa, a not-so-sleepy city bustling with life, breaks those stereotypes. If you don’t believe me, you’re a) probably from Texas or b) have read an American travelogue or two. So today, we’ve somehow found ourselves in the second largest city in Oklahoma and since we have a few hours to spend together, I thought I’d take you on a tour of the top five must-see sights in the former oil capital of the world. Are you ready? 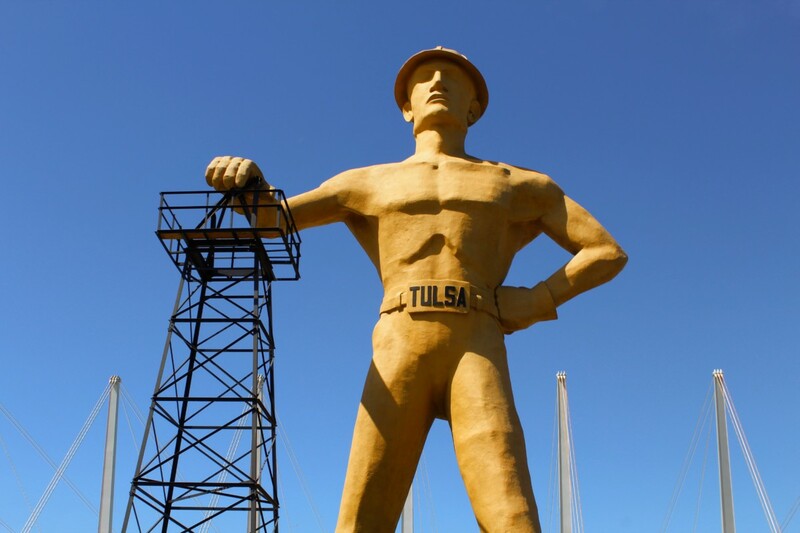 Quirky and unique, the Golden Driller stands, chin-up, at 75-feet tall. A solid brown-mustard hue coats his cast, but it isn’t the colour that draws us to him or even the sheer size. It’s his hands. Yes, hands. One is placed on his hips, folded inwards, heightening his aggressive stance. The other leans onto an oil-derrick, fingers clipped to the bars. The Driller, the fourth largest statue in the US, stands as a testament to the power of the oil industry. We take turns snapping a few Instagram worthy pics in front of the statue (I’d share mine, but I’m a tad embarrassed) and head off to our next stop. The Gilcrease Museum, an expansive collection of art and artifacts from the American Southwest, is built from Thomas Gilcrease’s personal collection. Inside, we are met with methodically laid out arrangements of posters and paintings and artifacts. The moderately-sized museum houses an enormously comprehensive collection of raw and bold-coloured Native American art. 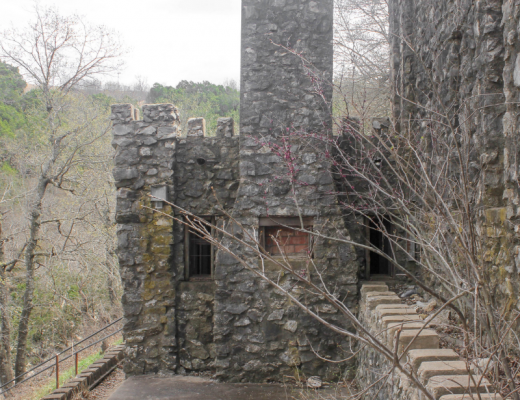 It is worth the visit, but the $8 admission price is a little steep. Luckily, we happen to be visiting on one of the two free days each month (first Tuesday and third Sunday). 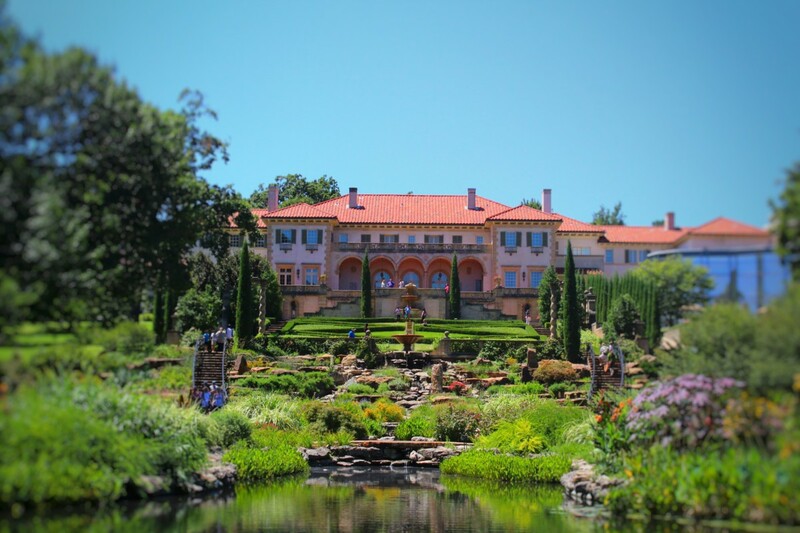 Hidden within a neighborhood of luxurious, Real Housewives of Orange County-style villas lies the Philbrook Museum, a former oil baron’s personal collection open to the public. The collection is set in his house – ahem, mansion. Yup, that’s definitely a mansion! The mostly Native American works, while incongruous in the mirrored Italian style architecture, force us to not only look in awe at the masterpieces but the less-than-humble abode itself. Did I mention there are servant’s quarters? I’m frankly not surprised, but I will admit, I’m slightly curious as to how many zeros the cleaning bill for a 72-room home entails. 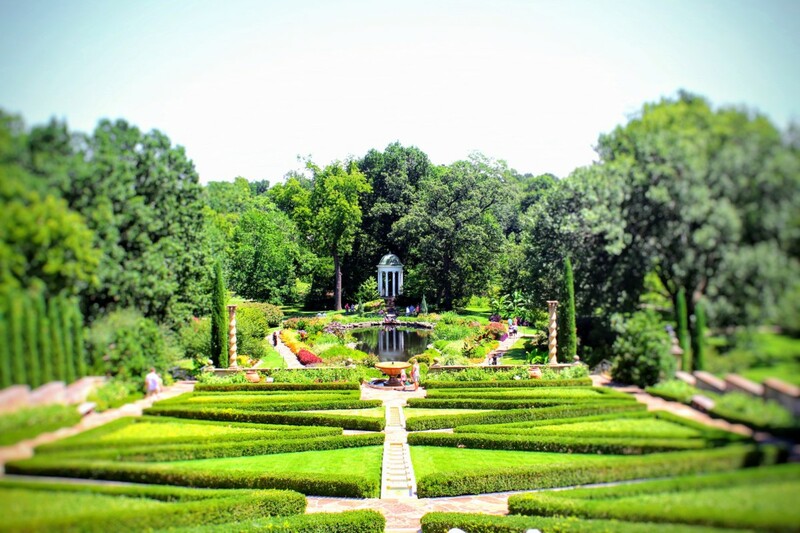 We exit the house through wide doors and meet the star of the Philbrook Museum, a luscious green, neatly landscaped garden. We step down the stairs drawing our eyes to the manicured hedges and centered fountain for a panoramic view of the grounds. Isn’t it pretty? 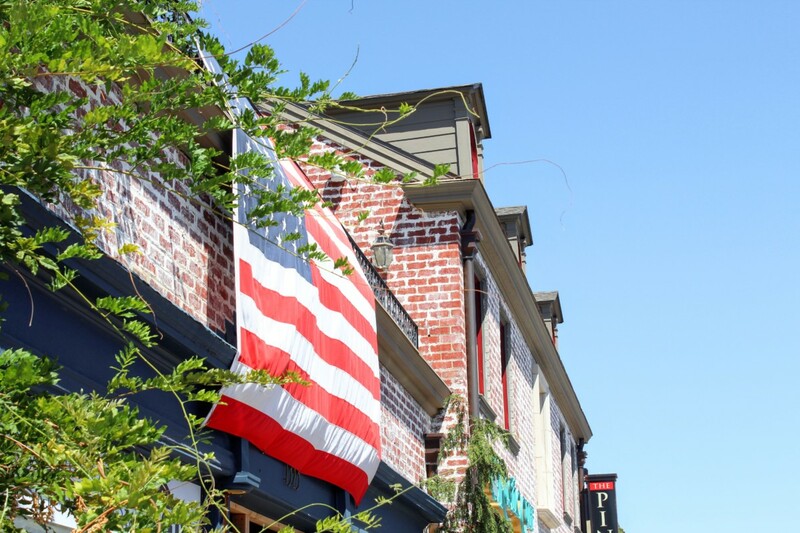 Cherry Street is a short block packed with locally-owned stores, from antique shops to minimalistic home decor caches. Peppered with branded chains and soulful indie joints, this street is a locally held delight, perfect for spending a relaxing hour hanging out with friends or family (or yours truly). 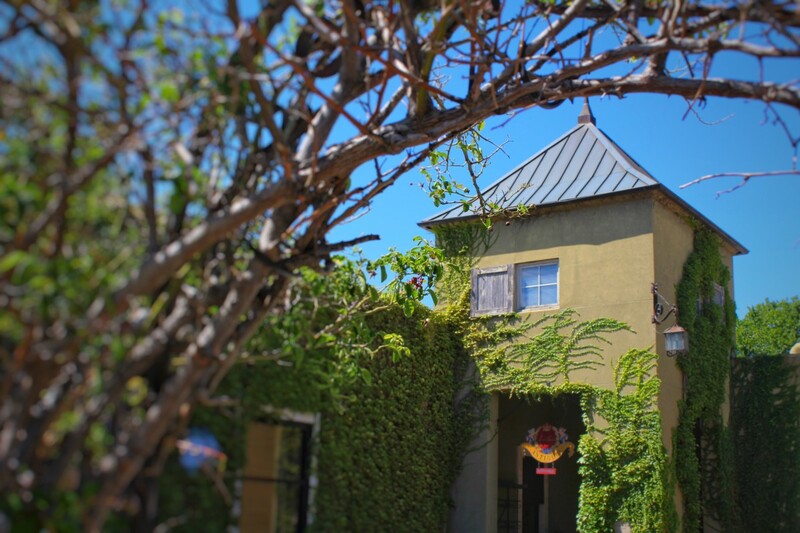 If you are looking for elegant dining and rich nightlife, there is no better place in Tulsa than the Blue Dome District, a blossoming street of entertainment venues. The name stems from a light Santorini-style dome capped onto old brick – this former service station is the colourful highlight of the tight urban landscape. The pale blue fades into the gray as the sun sinks below the horizon line. It’s getting dark, but trust me, our night in Tulsa is just getting started. 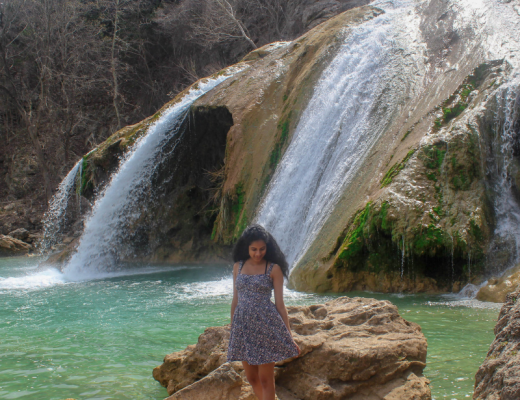 Did you enjoy this list of top 5 things to do in Tulsa, Oklahoma? What are your favourite things to do in Tulsa? Comment down below and tell me! I love hearing from you! Tulsa sounds awesome. I have actually never stopped in Oklahoma and only see it from I-40. I’m, going to have to make some time to visit soon. Wonderful guide for Oklahoma. The place looks so charming. I would love to visit the Museum.Loved your photos, they bring alive the spirit of the place. i have never been to oklahoma but it sure looks like a gorgeous city to explore. Would love to explore it!